Tracy and Deon had a perfect June wedding. Tracy and Deon had a perfect June day for their wedding and reception at Columbus Park Refectory. 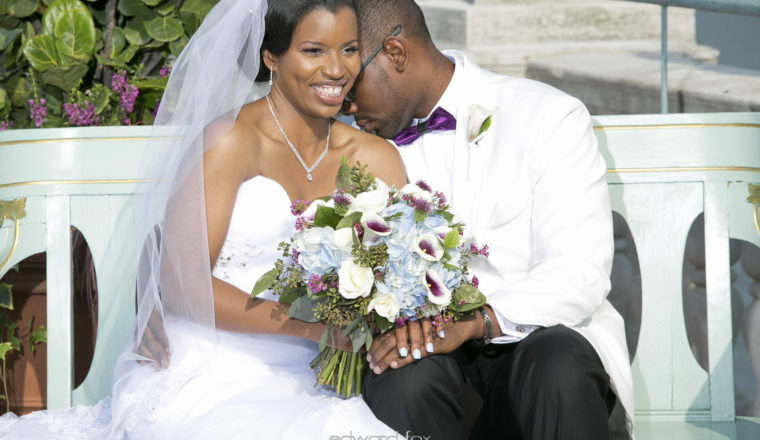 We love the blue, purple and white color combination that was incorporated into the wedding! Tracy’s gardeny bouquet featured white roses, blue hydrangeas, calla lilies, purple wax flowers and purple allium. The classic centerpieces featured white roses and bear grass. Thank you to Edward Fox for capturing the day!